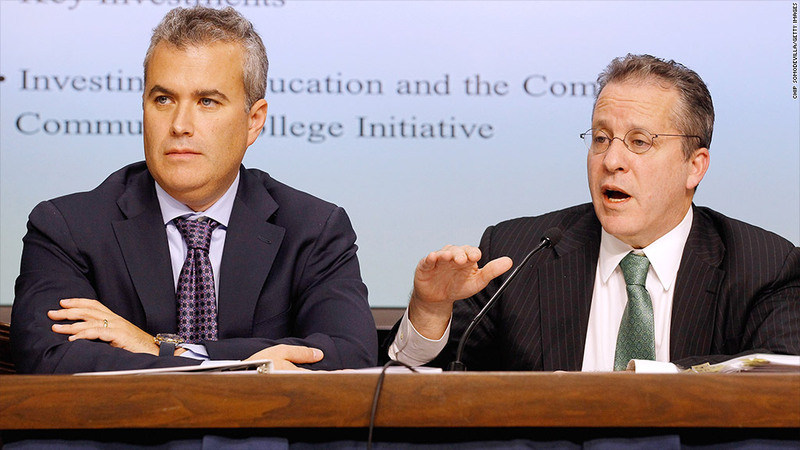 Jeffrey Zients, left, will be named to succeed Gene Sperling, right, as the director of the National Economic Council. President Obama is set to name Jeffrey Zients as the director of the National Economic Council, one of the top economic policy roles in the White House, a senior administration official confirmed to CNN. Zients would replace Gene Sperling, who has held the post since January 2011 and also held it during the final years of the Clinton administration. Larry Summers, who is under consideration to be the next chairman of the Federal Reserve, filled the post during the first two years of the Obama administration. The NEC director, along with the chairman of the Council of Economic Advisors, are the top economists in the White House. Current chairman Jason Furman is the fourth person to hold that post under Obama. Zients had previously served in the Obama administration. He was acting director of the Office of Management and Budget and the first federal Chief Performance Officer. Most recently, Zients was a managing partner of Portfolio Logic, an investment firm focusing primarily on business and health care services companies. He began his career in business management consulting at Bain & Company and Mercer Management Consulting.